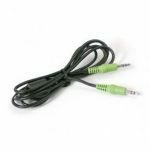 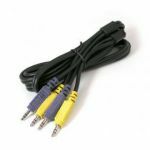 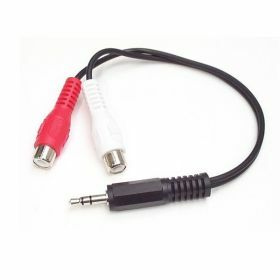 The MUMFRCA 6in 3.5mm to RCA stereo audio cable features one 3.5mm (TRS) male and 2x RCA female connectors, enabling you to connect your portable audio device ( iPod or other MP3 player) to your home stereo through standard RCA cables. This versatile headphone jack/RCA cable can also be used to connect a computer sound card to an audio device that accepts RCA audio input. 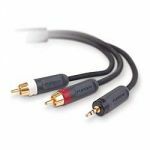 The MUMFRCA is backed by StarTech.com’s Lifetime Warranty for guaranteed dependability.